Should I sell my motorcycle myself? You sold your bike. Now what? Celebrate the sale buying a new bike! How was the experience to sell my motorcycle? Let me also mention something now that I can. This guide is written as a comprehensive, quasi-definitive manual for the competent motorcyclist selling their bike for maximum profit. Hopefully to fund their next bike. It takes for granted that the motorcycle is in decent condition, good-looking and well-enough kept. Also, it assumes you’re willing and capable of putting in a small effort to make your bike as attractive (read desirable or valuable) as possible. The goal here is justifying an above-average price-tag in a reasonable time frame. Not a quick sale for rock bottom pricing. If I’m going to sell my motorcycle, I definitely want my money’s worth for it. Let’s see how to sell a used motorcycle! 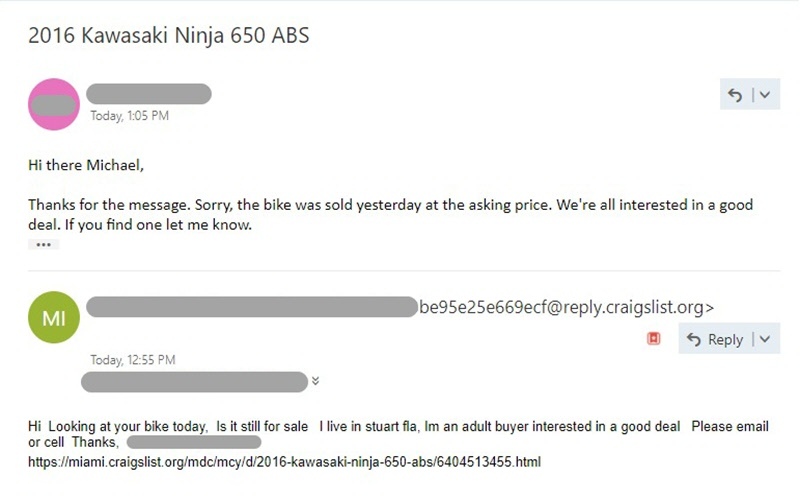 You should always consider selling your bike yourself. Keep in mind that, if you “trade-in” your vehicle, any dealership is going to keep anywhere between 10% and 50% of the bikes value. In other words, they’re going to pay you that much less than what they ultimately sell it for. They’re taking on the risk of buying a motorcycle in an unknown condition from you. You bet they are going to need to make a profit to make that worthwhile. Not only that, but they can’t have your bike taking up space for months. They need to price it to sell fast to whoever walks through the door first. It’s not possible to wait for the ideal buyer who’s looking for this exact bike. Much less one who is willing to pay dearly for it. The moral of the story is that selling a vehicle yourself is always going to make you a substantially larger payday. Provided you put in the effort, at least. I know you might feel nervous or insecure regarding how to go about it. But don’t worry. The process of how to sell a used motorcycle is pretty straightforward. And it wasn’t designed to make things difficult for you. This is the bill of sale I used. If you want to see the whole document, check the attached files. To sell my motorcycle, I used quite a few agreements. You should tailor yours to your needs. Your Title should look something like this. On the bottom there’s a form to transfer ownership. While the “Bill of Sale” determines the terms of the sale (for the most part only applicable if something went wrong), the signed certificate of sale is really all that’s needed for a buyer to transfer the vehicle to themselves. This is the deposit agreement I used. If you want to see the whole document, check the attached files. Regarding how to sell a used motorcycle, you want to be as thorough as possible. As much as I want to sell my motorcycle, there’s no need to take risks. If your going to let someone test drive your vehicle, better be safe than sorry and have them fill this out. If you want to go the extra mile, print this onto a standard envelope (directly over the flap) to have a safe place to put the funds during a test drive. I am not a lawyer, and I have no legal training whatsoever. This is not legal advice. This is simply a random, free post on the internet and you should treat it as such. No claims whatsoever are made regarding the legality or enforceability of any of these documents. I am simply posting what I used to sell my motorcycle, should others want to use it as inspiration to write their own documents. I strongly encourage you to rewrite or edit any and all documents to represent and address your particular concerns and needs. If anyone unwisely decides to use these documents, or documents derived from them, it is under their own voluntary, exclusive responsibility. Always consult a lawyer first. Let’s deal with the paperwork aspect first. It’ll be nice to get it out-of-the-way. The hassle of how to sell a used motorcycle has a lot to do with paperwork. Regarding bike paperwork, there are a few documents you are going to want to have at hand. I’m simply going to post what I used should anyone want to use it as a reference. The vehicle’s Title – This is what’s required to prove ownership and officially transfer the vehicle. 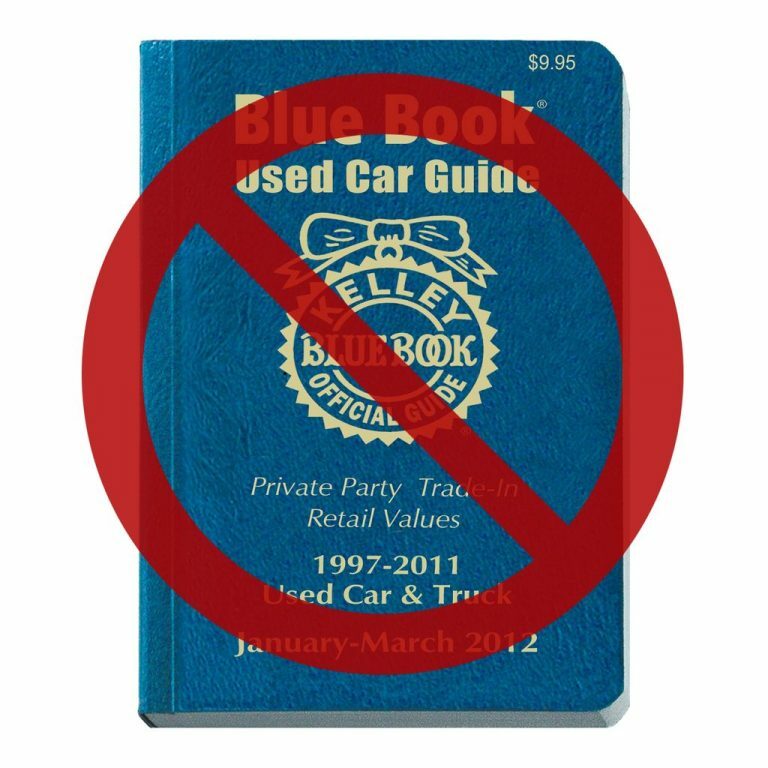 It’s the most important document when it comes to how to sell a used motorcycle. Bill of Sale / Sale Agreement – This is what establishes the sale’s conditions. I’ve attached the agreement I used to sell my motorcycle. Vehicle Sale Holding Deposit Agreement – The easiest way to get a buyer to commit is to get them to leave a deposit. An agreement is used to formalize just that. Vehicle Test Drive Agreement – If you let anyone test drive your motorcycle, have them sign an agreement first to protect yourself. Test Drive Envelope – If you have a printer that can print on envelopes, you might as well print this out, too. It’s to put the money for the test drive inside. Mainly to avoid misunderstandings. Both of you sign on top of the fold of the sealed envelope. I used a Epson WF-3640 feeding an envelope through the rear slot. To download a zip folder with the files, click below. If you intend to make use of them in any way, make sure to revise and modify them to suit your needs. While you’re dealing with motorcycle sale paperwork, get a FLHSMV Vehicle Information check. Or your state’s equivalent. All it takes is a motorcycle’s title and VIN number. It will let you know if there’s any lien on the vehicle, number of previous owners, etc. This is something you want to check for errors. Then save it as a PDF to give to the buyer. Or better yet, provide them with a link to check for themselves. If you have a lien on the vehicle, get it settled and your title in hand before proceeding. If your bike doesn’t have a lien but it says it does on the website, that’s something you’ll want to take care of. Finally, you may or may not have an up-to-date license plate for the vehicle. You might have already transferred the plate to another vehicle. Or let it expire. Consider if you still need a license plate for test drives. If so, you can request a Temporary License Plate at your local tag agency. In Florida it costs 10$ (currently) and only lasts 1 month. Allegedly, you can only request it once . On the bright side, explaining why you have an expired temporary tag – if it expires before you sell it – is much easier than explaining why someone is test driving your bike with no tag at all. Now that you’re selling the bike, it’s the last moment to take care of pending issues. If you’re not an avid mechanic, that might be little more than checking tire pressure and shaking the bike around for anything loose. If the chain is really loose and you don’t know how to adjust it, take it to the mechanic. But beyond that I’d really avoid spending any money at all on labor. However, you might be into the hobby and already have the skills and tools necessary. There are plenty of dirt cheap, quick repairs and maintenance you can take care of. Prospective buyers might not thank you for it, but they’ll definitely appreciate it. Repair anything broken that is easily visible and cheaply replaceable – If it isn’t visible in a preliminary inspection, and doesn’t affect safety, don’t bother. Change brake fluid – 10$ – It’s most likely absorbed water by now. Test the battery and replace if it has trouble staying over 12 volts – The 30$ or so it costs to replace is minimal. And much less than what it will cost you if a buyer hassles you over an engine struggling to turn over. Inspect tires – If they are blatantly in need of changing them, change them. But if not simply decide on a discount you’re willing to give the buyer so they can put the tires of their choice on it. Only mention it if they bring up the topic themselves, of course. Change Engine Oil – Ironically, this is the most debatable point. If you buy a used vehicle, the first thing you should do is change the oil, regardless of whether it has been allegedly changed or not. If a seller tells me that they purposely didn’t change oil so I’d be able to check the condition of the oil myself, I’d have a lot of respect for that. It’s the honest, educated position. Plus you save time and money not doing the job. Personally, I think either changing it and mentioning it as a plus, or not changing it, explaining why, and offering to change it if requested are both equally valid positions. 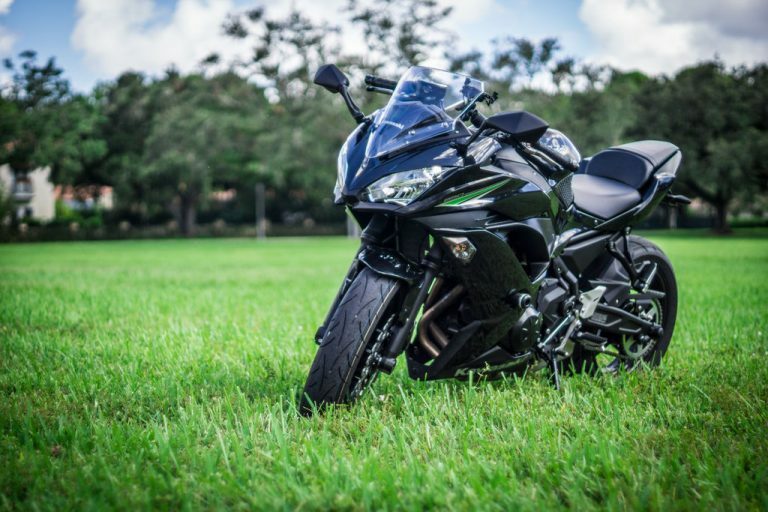 While you’re at it, and depending on the value of your bike, the expected type of prospective buyer, and the demand for its parts, you might also want to consider removing any upgrades or replacing certain OEM parts. As an example, some OEM mirrors cost 140$ or so the pair. In “Used – Like New” condition – You’d be surprised how often stand-still drops break them. On the other hand, a pair of decent generic replacements cost closer to 30$. If you advertise that as upgraded extended mirrors, it’s not a bug, it’s a feature! If you replace them and sell off the OEM ones on Ebay, you can easily make a profit with no impact on the resale value. I’m not talking about screwing up the bike here, just parts of equivalent quality and different price. The same goes for certain upgrades. Many aftermarket fender eliminators and slip-ons cost less than the OEM components (in good condition). Even better, they are desired upgrades for buyers. Other parts like OEM safety reflectors (which most people remove) or license plate brackets have value in the part market. They are parts that are completely unnecessary for the bike (most people remove them anyway), but have value in the parts market. This is more the sort of thing you should do while you own the bike, rather than just before you sell it. At the last moment it is both a bit sleazy (depending on how you do it) and rarely worthwhile. But giving the bike a final look around and checking some prices is often worthwhile. Also, if you will be buying another bike, see what parts can moved from the old bike to your new bike. Common examples are custom license plate frames, oil drain valves, expensive upgraded LED bulbs, etc. In case of doubt, and if it doesn’t raise the resale value, remove it and decide later what to do with it. If the buyer specifically asks about it, you can always “find” it before delivering the vehicle. 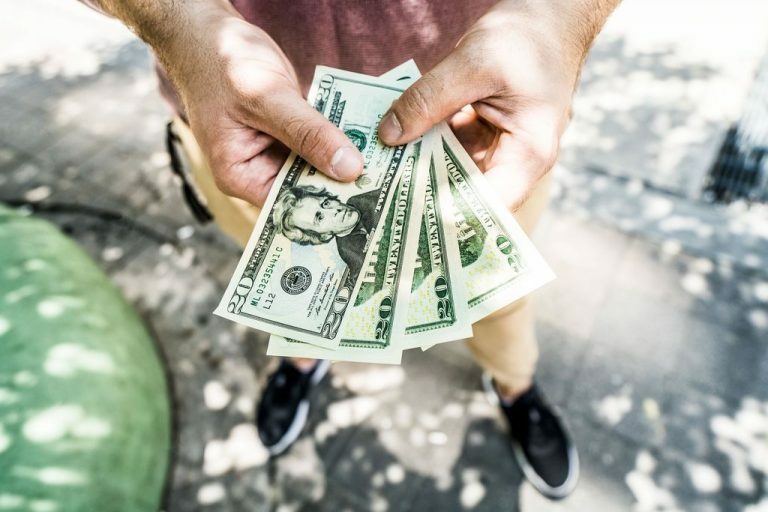 You can easily save/earn hundreds of dollars this way. Worst case scenario pay it forward gifting it on your favorite forum. It’s a great way to brighten the day of somebody who just low-sided and needs parts. And finally, since you don’t know how long it will take to sell the bike, fill up the tank and put some gas stabilizer in it. Remember to run the engine to circulate it through the fuel lines. If it doesn’t have one already, install a battery charger harness to keep it permanently tethered to a battery maintainer. You should always be ready to show the bike at a moments notice, so keeping the battery at full charge is imperative. Boy, do I love washing vehicles with the foam gun! Nothing matters more regarding how to sell a used motorcycle than looks. A motorcycle sale is like a job interview. If you don’t come in groomed, you’ve probably got other issues, too. The number one reason people prefer to buy new over used vehicles is that they can never be sure how that bike was treated. If you don’t wash it thoroughly for a sale when it’s supposed to look it’s best, then you probably never took better care of it while you owned it. And if you aren’t taking care of something so trivial as washing, then forget about basic maintenance. I’m a stickler for detailing, so I’ve spent a lot of time trying out products until I’ve found what I like best. As far as my steps and the products I use for a perfect wash, here we go. While it looks intimidating, this will easily raise the sale value by around 10% in 5-6 hours. Strip off any dirt and wax. I used a foam cannon to douse the bike in a bug & tar cleaner. Clay the paintwork to remove any embedded grit and debris on the bike. Rinse off any residues from the clay. Polish the paintwork to remove any swirls or superficial scratches. 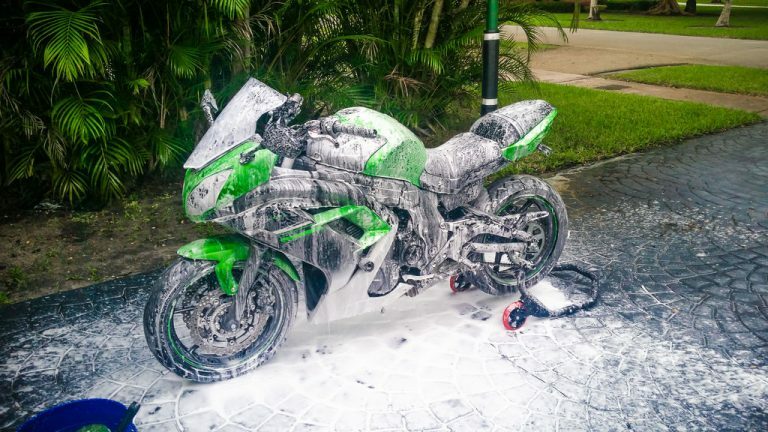 Apply a glaze for the best foundation under the motorcycle wax. Protect the paint with a sealant to protect the paintwork and provide a long-term sheen. Apply Carnauba wax layered on top for the best shine and deepest colors. Hand-apply an oil-based protector on the plastics, for a deep black new-plastic look. Douse the bike with a water-based plastic protector. Mainly to provide a shine to anything whose shape doesn’t allow for manual application, like around the controls and engine sides. Lube the chain to make sure it’s clean and oiled after washing. Clean and buff all glass and transparent plastics. Dry and buff all the paintwork. This really brings out the shine. Once you’re down with the motorcycle detailing, put a cover on It. Even if you’ll be storing it indoors. Do it until you’re ready to take pictures of the bike. And afterwards while you wait for buyers, too. It really helps keep dust off the bike, as well as protect from minor bumps and impacts. Done. 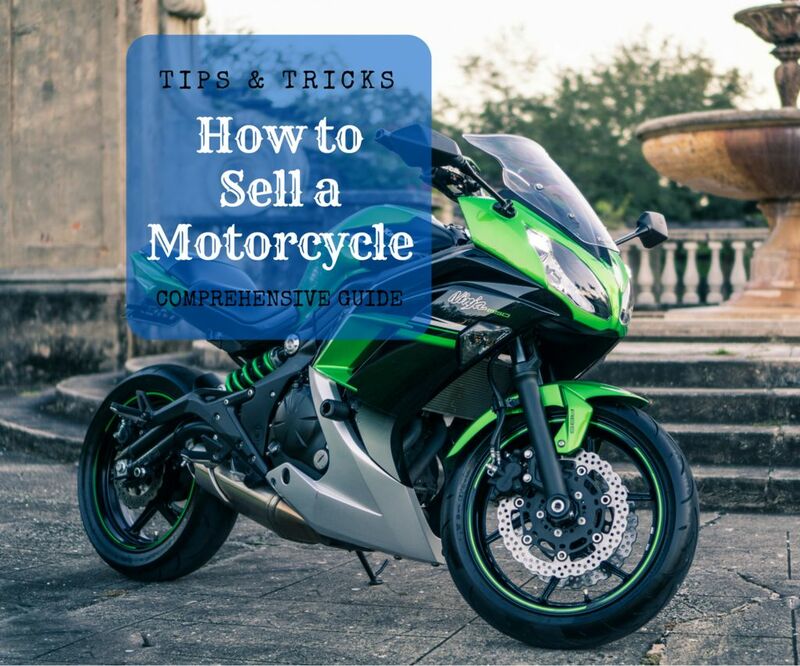 To the next step of how to sell a used motorcycle! These were some of the actual images I used for the listings. How to sell a used motorcycle the quickest and for the highest price really depends on high-quality images. Prospective buyers aren’t going to read your listing unless they like the images first. One easy way to justify your bike’s higher-than-average price is pointing out the upgrades in the images. To sell my motorcycle quicker, I added as many call-outs as I could think of. Anything the bike had that a buyer could consider an upgrade. It only took a few minutes in Paint. If your motorcycle pictures have enough bokeh to make them instagram-worthy, you’re probably doing alright. Add as many images you’d like to see if you were considering spending a few thousand bucks on a used motorcycle. The most decisive of all may very well be this one. And it’s also another step where you can easily boost the price by 5-10%. We are visual, suggestible creatures. Just look at the budget of any corporation’s marketing department. 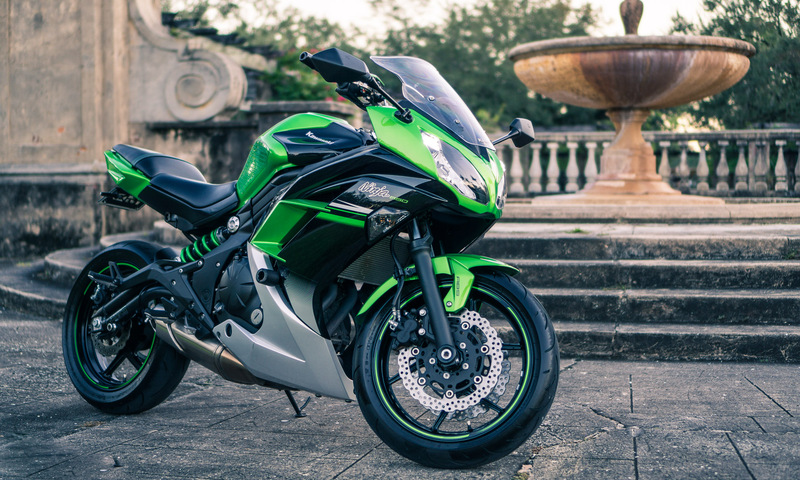 If you take pictures good enough to make your prospective buyer want your bike, you’ll be sure to linger in their mind. Think that the pictures are what they’ll send to their friends for opinions. It’s also what they’ll look at after you’ve told them you can’t go as low as they want. You need good pictures. I purposely chose for a pleasant, uncluttered background without cars or people. As far as hardware goes, I used a Sony A600 Mirrorless camera with a 50mm f/1.8 Lens. The fixed 50mm prime lens is what really allows for the razor-sharp focus of the subject, and the nice blurry background. That’s exactly what you should be looking for. If you don’t have a decent camera available, of course you can use your smartphone instead. However, precisely this type of tasks are the ones that make photography a hobby that pays for itself. There’s little doubt that pictures like this measurably raise the sale price. If you want more information on how to take good pictures, there are plenty of tutorials on every photography aspect under the sun on YouTube. There’s an added bonus to paying attention to detail here. Good pictures build your credibility as a careful, competent person who would have taken care of the vehicle. Finally, as you have probably noticed from the pictures, I added call-outs to any of the bike’s features . To do so, I just used the free program Paint.net. While you really should remove any unnecessary upgrades, – few are ones the buyer will be willing to actually pay above market price for – most will not be worth the effort or cost. At the very least document them. Thinking of post-processing pictures (white balance, shadows, etc.)? Good. It’s necessary if you shoot RAW. But retouching pictures? Bad. Real bad. If you’re an avid photographer, retouching scratches like you’d retouch a pimple is both trivial and tempting. But don’t even think about it. Effectively, it’s fraud. If there is some discrete scratch you’d like to avoid being seen, retouch it. All you need is some paint. Or even a sharpie if necessary, but I’d recommend an oil pen. That’s a repair. And if there’s an unfavorable angle that doesn’t look as bad in person, just delete the picture. Don’t get yourself in trouble in such a stupid way. A vehicle “log” will make all the information much easier for the buyer to digest, and as well as making quick responses to tirekickers as easy as sending them a link to the file. A buyer won’t pay extra for upgrades if he doesn’t know the bike includes them. A detailed list like this helps justify the asking price. Arguably the most important part. The intimidating facet of buying a used motorcycle is not knowing the condition or how well it’s been maintained. A detailed log like this builds your credibility as a responsible owner, and makes clear that the bike is well kept. When it comes to how to sell a used motorcycle, it’s all about how it’s been kept and maintained. I remember how my dad once told me about an old guy who sold him a beautifully kept Camaro, and gave him a whole notebook full of all the maintenance or everything that was ever done to it in almost two decades of ownership. That stuck with me. Ever since I’ve kept a meticulous log of all the maintenance and upgrades I do to my vehicles. With apps like Fuelly’s aCar, these days the effort is trivial. By the way, really, download that app. You won’t believe how valuable the information is. Once I was ready to make the log of all the work that’s been done on the vehicle, I simply exported it in Excel and formatted it to my liking. Whether this would raise sale price is up for debate. Nonetheless, it certainly will help the buyer choose your bike over a similar used motorcycle from another owner which doesn’t have as much information. After all, considering how much some people pay the peace of mind of an extended warranty, it’s clear that the log itself has some value. Upgrades – Let the buyer know explicitly why your bike is worth the asking price, and what they’ll be receiving. Expenses – Drives home the point that you’ve spent a lot of money, and that you shouldn’t be expected to give them away for free. Maintenance Log – Make clear with a log what’s been done and what hasn’t. This is the most important component. It assures the buyer that the vehicle is in good condition, and gives them an idea of how to take care of the bike in the future. Specifications – Finally, the specs helps you answer any questions the buyer may have (weight, dimensions…) when showing the bike in person. Considering that it’s just a copy-paste from the motorcycle manufacturer’s website, there’s little reason not to include it. This is also a great place to place add notes regarding any of the bike’s quirks you don’t want the buyer to forget. Specially so they don’t bother you again later or think the bike has a defect. An example is reminding them to use a battery tender if the motorcycle has a battery-discharging alarm. That way they won’t come back complaining about the battery discharging on a weekly basis. Or better said, they might – you’ll just able to prove the fact that it was disclosed prior to sale. I’ve attached a template based on the file I used so you can fill it in with your bike’s details. It’s pretty clear that the second link looks a lot more trustworthy. The second link is what you’d share with potential buyers and tirekickers alike. And if available, you can choose the name that you want. However, the real benefit is the ability to change the link. If you ever need to change the Dropbox link , you can simply modify the redirected link without having to give a new link to all the prospective buyers. And that Dropbox link will change if you move the file, change it, etc. Most of the time it’s simply discovering an error that needs correcting. To sell my motorcycle, I had to change the file a few times with minor details, and this saved me a lot of hassle. You should use this both for the Work Log, as well as for a folder with all the highest-quality images of the bike. One of the most nerve-racking steps of how to sell a used motorcycle is having to decide its price. I have a time-tested, fail-proof, dead simple method for this. I don’t. After all, there’s nothing more frustrating than advertising something unique for sale, only to have it sell within a day and find out you under-priced it. If you are not in a hurry to sell the bike, list your used motorcycle at around 10-40% more than what you’d pay for it. Then slowly lower prices depending on how many interested buyers you get and their demeanor. Remember, it’s the buyer who decides the price of goods, not you. Some are even willing to overpay! Inadvertently or not. Knowing a “correct” price is much more important if you’re trading in the vehicle at the dealership. Or in the old days when people used to post ads in the newspaper which would run for weeks without the possibility of modification. It now takes only a few minutes and clicks to change the price on all your listings. As that’s the case, there isn’t any need to fret about getting it right on your first try. Just price it high. The good thing about online advertisements is that it saves you the embarrassment of saying a ridiculous price to a savvy buyer. Plus, you’ll only get messages from those that think your high price is somewhat reasonable. Most bikes are under-priced anyway if you take into account the thousands spent on farkles. If a buyer wants your specific combination, you’ve struck gold. I have mixed feelings about Ebay Motors regarding vehicle sales, nonetheless it’s a good starting point to post a free listing to sell my motorcycle. Where you list your vehicle determines your market demographic. Clueless, first time riders typically end up at the dealership. Those who want a cheap steal go to Craigslist. And those that don’t know where to start looking check Ebay. In any case, I’d recommend making a default listing and copy-pasting it at a few sites for free. Each site has its own policies, image requirements, etc, but all in all it’s quick and painless at all of them. These are the ones where I ended up posting. All private motorcycle sales start here. Posting is free, they allow plenty of images and a relatively straightforward interface. However, they live up to their reputation of shady buyers. You should expect to get serious offers (as long as the price is low enough), but also expect about 50% of messages to be scams. The king of private sales. You’ll get the most views here, and also people who are willing to pay more for a quality vehicle with good pictures – seriously, pictures are everything. You might get a 10-25% scam message ratio, which is good. It doesn’t cost anything to list, but if the sale goes through Ebay, you’ll be billed an around 100$ fee. Which, all things considered, is fine if the buyer pays asking price without haggling via the “Buy Now” button. On the other hand, it’s a mess since Ebay does not allow you to interchange personal information. And almost no one buys a vehicle online without looking at it in person first. In practice, most people end up swapping a phone number or email (even though it’s against policy) and contacting each other that way to set up a meeting. Whether or not the buyer confirms the sale via Ebay or not is their choice. I wouldn’t push them either way. One positive here is that if you already have an Ebay account with years of use and plenty of positive feedback, it will do wonders for your credibility as a seller. This is the old school option from when people used to look for used motorcycles in magazines. Here you’ll find serious buyers who know what a bike’s worth, and has probably been through the process many times before. Posting is free, though there are many limitations. Expect virtually no scam messages, but don’t expect too many interested buyers either. This site gets a lot less views than the prior two. Remember to not post your address on the listing. But do post a general zip code or area where you’re willing to show the bike. Double-check grammar and spelling. Then check again. Regarding paid listings, I wouldn’t bother with them. At least not unless it has been months without a serious buyer on the horizon. The best sale is when the buyer is looking for you. Not when you’re advertising indiscriminately to uninterested people on the internet. The last thing you want is a buyer who wants to be your new riding buddy, or wants to depend on you for any mechanical issue for as long as they own the bike. There’s no need to give out permanent personal contact information. Use Google Voice to get a free virtual phone number, which you can post online. You can receive and send text messages, as well as receive and make calls. Once you’re done with the sale you can change or delete the number. The same goes for emails. Make an “email alias”. Outlook, Gmail and all the rest provide them at no cost or inconvenience. Doing so you can receive and send emails regarding the sale without being bogged down by spam messages for years to come. Delete it once you’re done and that’s that. It can be frustrating when you think you’ve finally got an interested buyer and then you receive a message like this. But like Facebook, when an ridiculously hot stranger wants to be your friend, sometimes it’s better to just take a deep breath and hit ‘delete’. And in case you’re wondering, you can be pretty sure that cashier’s check is just a regular check. This was an actual message I received. Of many. Just screenshot it for giggles, delete it, and go along your day. The images posted above are actual scam messages I received in the course of selling this bike. One of the beauties of the online world (or Craigslist in general) are the scams. They’re so prolific that they’ve even got their own comedy niche. You can expect that anywhere between 10 and 50% of the messages you will receive are scams. However, it’s nothing to worry about as long as you take it with humor. They are almost unequivocally blatant, so they are easy to catch. The concept works on volume, not quality. Unnecessary, excessive information – i.e. I’m a FBI agent. Odd methods of payment – Western Union? Run. PayPal? Extreme caution. Offering payment in excess of requested amount – Run! “I’ll have my auto towing agent pick it up” – Extreme caution. Everything has to be done ASAP – An excited buyer is good. A hurried buyer isn’t. I’ll pay by check, give me your complete information – Extreme caution. Like most things in life, it’s hard to precisely describe. However, just be observant and there is little to worry about as long as you do things right. In practice, all that matters is using a secure payment method like a wire transfer. Given that there is no way to reverse it, scammers won’t ever accept that. 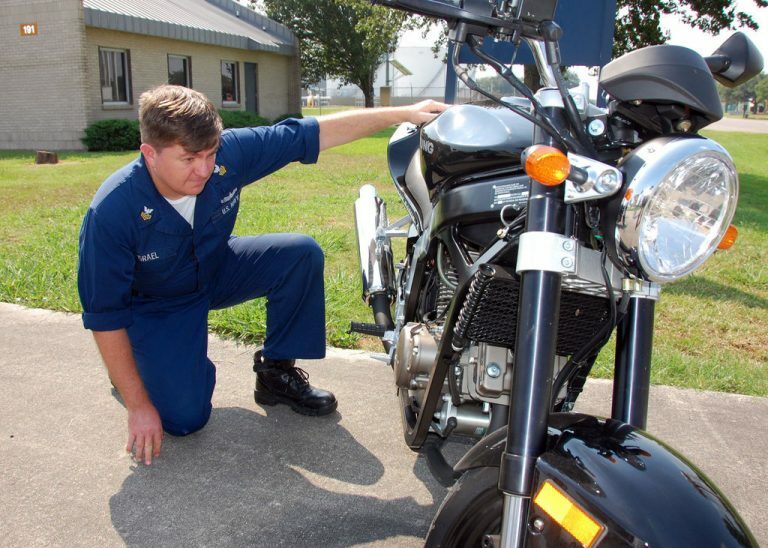 Prior to showing the motorcycle, inspect it like you’d expect an educated buyer would. It’ll save you from ruthless haggling down the road if a potential buyer catches it first. Don’t expect to be showing the vehicle to clueless buyers. And don’t expose yourself to the embarrassment of something not working in the middle of showing the bike. Inspect the vehicle beforehand just as you’d expect an educated buyer to do so. 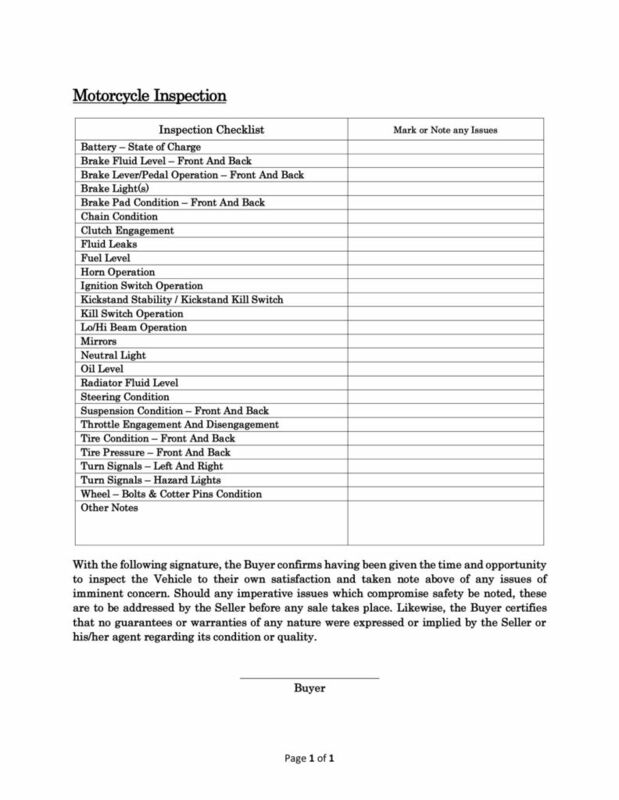 Better yet, consider handing this inspection list to the buyer for them to inspect the bike. You’ll have checked it yourself first so you know it will pass. The non-mechanically inclined will also appreciate it. Though they will most likely just skim over the list and not put too much effort into checking anyway. Nonetheless it does a lot to boost your credibility as a trustworthy seller. And perhaps the biggest reason to do a motorcycle inspection before a test drive or sale. Legally speaking, an added benefit is getting an explicit signature stating that they’ve inspected the vehicle to their satisfaction. That includes stating not to have found any issues that would make it unsafe, as well as agreeing that no warranties were expressed or implied. Attached you’ll find the PDF version of the inspection checklist above. It shouldn’t take you more than ten minutes to check everything on that list visually, and can avoid ruthless haggling or unnecessary discounts down the road. Meet in a public parking lot, and let the buyer inspect the bike at their leisure. It’s stressful enough to be buying a used motorcycle to on top of that have someone hassling you. So you’ve finally been contacted by someone that’s interested enough to want to see the bike in person. Great! Send them all the information you have on the bike before-hand to avoid forgetting any selling points. Print out the work log and any information you have on the bike. If you put all that in a clipboard with storage along with a couple of pens, it will make your life a lot easier later. Before the encounter, decide the lowest price you’re willing to accept, and stick with it. You will be asked to “knock a hundred off, just ‘cus”. As long as you know what’s your cut-off point, and you’ve already prepared yourself to walk away from the table, you’ll be fine. Regarding the where, if you are not too keen on meeting buyers at your home, choose a public parking lot. McDonald’s and Burger Kings (or the like) are perfect since they are well-known and trust-worthy. Not to mention the fact that they have well illuminated, open parking lots as well as tables to sign the papers. And big windows to keep your eyes on the bike. Another great option is a police parking lot – many stations actually encourage this. Ideally it should be one close enough to your home that the engine doesn’t get warm getting there. Luckily, to sell my motorcycle I had a Burger King 100 ft. away. I basically pushed the bike there. You really want to have the engine cold for inspection, and remind this to the buyer for brownie points. “Cold start” and all of that. Note – Be aware that some buyers may be put off by meeting anywhere else but your home. It might feel “shady”. It’s a valid point. At the end of the day it’s your choice. Once you’ve met, relax, answer the buyer’s questions, and let them inspect the bike at their leisure.The bike’s condition and spec sheet should sell itself. If you thing how to sell a used motorcycle is stressful, just remember that how to buy a motorcycle isn’t any easier. And finally, if possible exercise the 2nd Amendment or bring a friend that does in exchange for lunch. With money and expensive goods, having some protection helps everyone be more trusting since you’re not as vulnerable. Test drives are a finicky thing in the motorcycle world. Thankfully most buyers are already conscious of this. There are plenty of opinions on the subject, and I won’t delve into them here. My personal opinion is test drives are only allowed with a signed Test Drive Agreement and full payment in a sealed envelope. Any serious buyer will understand. I don’t hold a grudge against those who don’t think that’s acceptable, but I’m not fond about being flexible on it. In the vast majority of cases all is well and you can dispose of the papers fifteen minutes later. Did you notice those scratches in the pictures of the bike? 75% of them were made in the street behind the dealership before the bike had made its first mile. The original owner was a middle-aged, skinny female that was nervous. Even a competent biker can get anxious about a stranger’s bike. The large amounts of money only make it worse. In other words, it’s a justifiable position. Honestly, many buyers themselves won’t ask about a test drive to avoid breaking anything. A good portion are satisfied just hearing it run on its kickstand in a parking lot. Can you throw in any motorcycle gear? Expect around 75% of prospective buyers to ask this. Seriously. Look, I get it, buying motorcycle gear can be more expensive than buying some used bikes. But it is beyond me why someone would be interested in sweaty gear in the wrong size. Sell your gear on its own via Ebay if it’s in good condition – you’ll make more from people who actually want it – and explain to the buyer why it really wouldn’t be in their own best interest. If nothing else because you’re unlikely to share sizes. It’s also the right moment to explain the importance of motorcycle gear. If you’re ATGATT, you won’t resist anyway. Nonetheless, if they insist, offer to get them a new helmet if they tell you their size. You can get them for as low as 40$ – I’d recommend LS2 Helmets. They probably wont bother to answer back with their size. But if they do, the expense is trivial compared to a used motorcycle sale. Do you have any bike parts for it? If your bike has any upgrades, you might have some parts. However if the parts have any value, you really should just sell them on their own through Ebay or an online forum to people who actually need and value them. Ideally you should have sold them the moment you took them off. OEM parts are typically so expensive that many upgrades are economically worthwhile. For example, I installed a 110$ Danmoto Slip-on to later sell my pristine OEM exhaust for almost double. Chances are if you do include parts, the pieces that we’re in a dusty box in your garage will turn into dusty parts in their garage. The reality is that no buyer will expect a discount because a bike doesn’t include any parts, nor will any buyer pay more because it does. I’m looking for a good deal / What’s your lowest price? I’ll admit this one ticks me off a bit. I won’t give you a different price just because you asked me for my “lowest price”. I don’t have a “highest price”, either. Asking “what’s the price?” is a much more polite way of getting the same exact answer. If someone wants a reasonable discount, they should justify it. It doesn’t even have to be a good reason. Point out a part that needs replacing. Or tell my a compelling story about how you’ve always wanted a bike since you were qa kid. Even better! Show me a comparable bike listed for less. It’s your choice how to deal with low-ballers. Personally, if the first sentence is “I’m looking for a good deal”, my answer is “Me too. Let me know if you find one”. Finally! Learning how to sell a used motorcycle the right way paid off! Finally! Someone who’s willing to put their money where their mouth is and pony up the cash! Once you find a buyer that’s ready to either pay a deposit or the full amount, sit down, check the payment, and sign the pertaining agreement together. The “safe” methods of payment are cash, cashiers/bank check, and wire transfer. Depending on the situation, it just might be best to pass by the bank together to cash in the money. After that’s done, sign the title and hand it over with the keys. There really isn’t much more to it than that. Congratulate them, and let ’em ride into the sunset while you just rejoice in this whole ordeal being finally over. 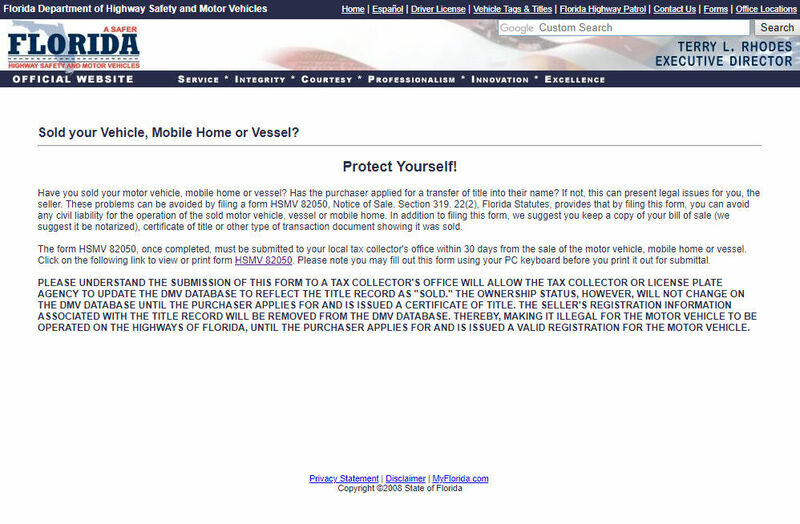 Do I have to pay taxes if I sell my motorcycle? Tax-wise, there is seldom anything to worry about. I mean income tax here. You will rarely if ever get more for the vehicle than what you paid for it, so you shouldn’t have to pay taxes on whatever is made. That’s one less thing to worry about regarding how to sell a used motorcycle. Nonetheless check for your particular situation. If you want to be an A+ biker in my book, gift ’em a Guardian Bell. This is one tradition worth keeping alive. While not necessary, it’s probably in your best interest to file a notice of sale. When I sold my motorcycle, I considered it. So you’ve sold the motorcycle. Great! What now? Thankfully, not much. In Florida it’s the buyer’s responsibility to register the bike. Once you’ve signed the title and handed it over, typically there isn’t anything for you to do. Even if you did visit a tag agency with the buyer, they wouldn’t ask anything of you. Not even a signature. That’s good news since it takes away a lot of hassle. However, if you want to cover your back, you can file a “form HSMV 82050, Notice of Sale“. Or your states equivalent, if applicable. It’s not obligatory in Florida, but it should provide some legal protection. If you don’t feel like filling it, don’t. I imagine the majority doesn’t, but it is reassuring if the buyer’s a bit shady. Tax – 6-9% – The buyer will have to pay a sales tax on the official purchase price, depending on the county. Title fee and Agency Fee – 80$ – To get the bike titled to them, it will cost somewhere around this. There will typically be an actual title fee, plus the small fee that the agency bills for the service. New License Plate – 60$ – If the buyer needs a new license plate, it will cost around this. Cost to transfer an already owned, unused license plate – 15$ – This is if the buyer already has a license plate and wants to put in on their new bike. It will cost somewhere around this. *Prices are just approximations and will depend on the tag agency, county, or some politicians whims. After seeing how to sell a used motorcycle, what’s more financially responsible than buying a new bike after selling the old one? Congratulations. You’ve made it to the final stage of this 13 Step ‘How to Sell a Used Motorcycle’ Program. The bike’s gone and the payment safe. You can now forget about this whole PITA process for another few years. Jokes aside, hopefully you’ve found this helpful. If you have any tips of your own, I’d be happy to hear about it below. Or if you’d like to post a eulogy for your now ex-bike. Bonus points for any spouse who wants to thank me for helping their husband get rid of the bike. 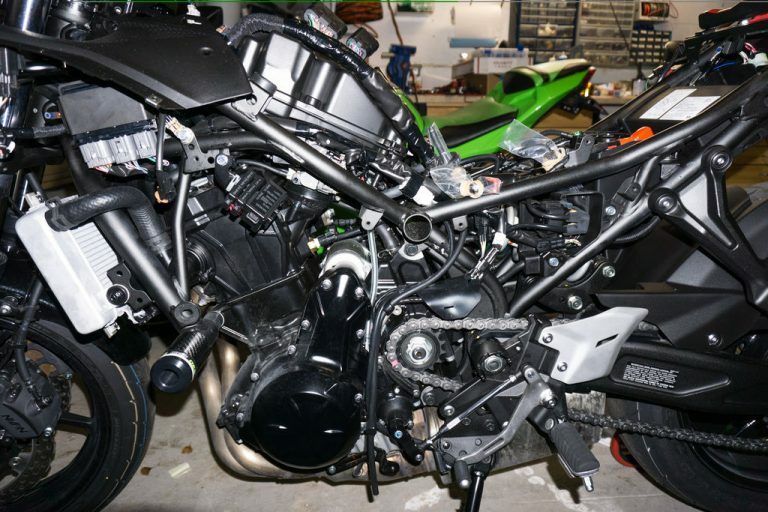 How did this particular Ninja 650’s sale go? I’ll give you the summary, in case you’re interested. It took about a month and a half to sell. It was first posted at 6499$, and was reduced a bit every few weeks until it came down to 5499$. Around that price is where I ultimately left it. At that time the messages from buyers started to become frequent enough (1 to 3 a week). Only one potential buyer ever got around to inspecting the bike in person. However, it wasn’t really the type of bike they were looking for. And I wasn’t flexible enough with the price to make it worthwhile. The lowest offer anyone made was 4500$, which I rejected. Other offers were in the 4800$ range, which I also rejected. I was in no hurry to sell, and I was selling in the middle of winter – That isn’t exactly when most people start looking to buy motorcycles. I was perfectly willing to wait until summer in hopes of a buyer with a higher budget. Also, a few months prior to this sale the new Ninja 650 model had come out. Waiting a bit more wasn’t going to impact the price too much anyway. I’m still not sure exactly how I ended up taking the person that ultimately bought the bike seriously. Namely because that they were on a foreign tropical island. Normally that would be a clear scam giveaway. Ironically enough, we conversed until the point where I took their offer seriously. They accepted my first price of 5299$ and didn’t try haggling. Then they made a deposit until we figured out how to proceed. I was just thinking about what would happen if they tried to walk out of the deal. I’d be able to keep the not insignificant deposit and that’s that. Though I originally thought they’d come to pick up the bike, they eventually decided to have the bike shipped. All I had to do is drop off the bike at a nearby cargo agency with the papers. Though slightly more complicated than a local sale, it was an interesting adventure. If you want to learn more about international sales – namely, what they entail and the specifics of shipping abroad – check out this article – International Used Motorcycle Sales. There’s a bit of interesting information there about whether it’s worth considering. It surely shouldn’t be your first choice, but I wouldn’t recommend dismissing them altogether. 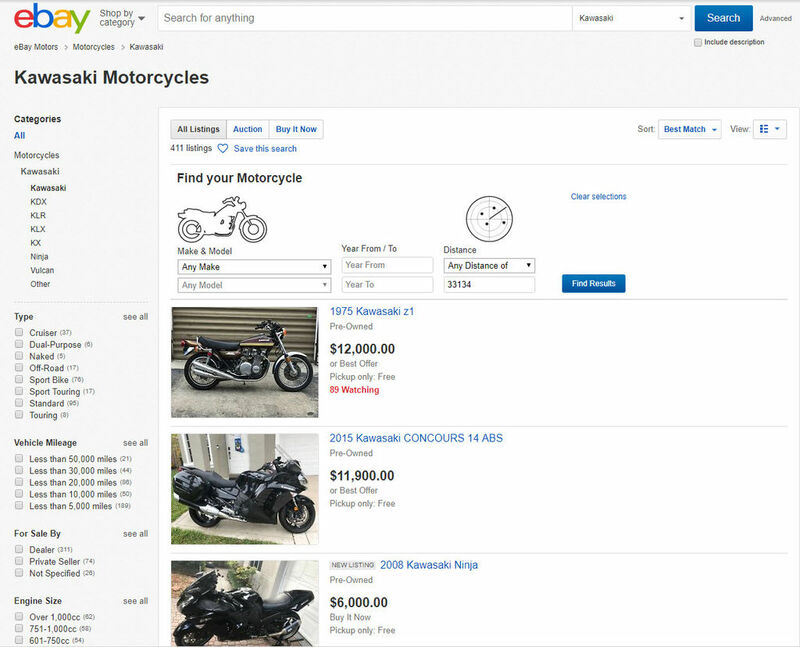 Hopefully this has provided plenty of actionable tips on how to sell a used motorcycle. It was certainly useful when the time came to sell my motorcycle. And who knows, maybe it’ll come in handy a few years down the road from now?